The challenges many people face while attempting to lose weight can be overwhelming. At SKINovative, we offer multiple methods for weight loss management that can be used alone or combined to help you achieve your goals. We require a consultation and labs prior to starting any medical weight loss program to assess your health and create the weight management program that best fits your personality and goals. Phentermine is the most commonly prescribed prescription appetite suppressant, accounting for 50% of prescriptions. Phentermine first received approval from the Food and Drug Administration (FDA) in 1959 as an appetite suppressant for the short-term treatment of obesity. Medgem is a device used on The Biggest Loser to measure metabolism. You can accurately know what your metabolism is and therefore make weight loss and weight management easier. Our most popular program utilizes a natural hormone that helps you lose weight by burning fat which creates rapid weight loss often without hunger. We offer the hormone either in injection form or sublingual (under the tongue). Both methods of using the hormone are very effective. We only offer the pharmaceutical grade version of the hormone. Mic B injections can boost the body’s metabolic power while increasing your energy levels. When injected, vitamin B12 and Mic B are easily absorbed by the body and then utilized in the formation of red blood cells as well as helping to maintain a healthy nervous and cardiovascular system. Mic B and B12 injections can be administered weekly, bi-weekly or monthly. It’s up to you. 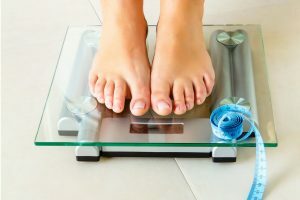 Used alone or in combination, these nonsurgical medical weight loss management strategies can help you reach your weight loss goals and live healthier. To learn more about your medical weight loss options or to book an appointment, call us at (480) 917-7546. *Disclaimer: Individual results may vary from patient to patient and are not guaranteed. Transform your life and body!